A Tirolese conference thriller in Vienna. On the 8th June 2017, notable Viennese congress and event planners set out together with Convention Bureau Tirol and its leading conference venue providers on a hunt for the most unconventional locations in the heart of the Alps. 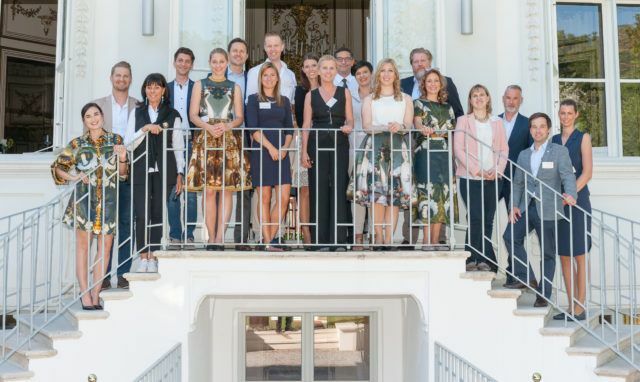 Working in conjunction with its Tirolean congress and conference partners, the Convention Bureau Tirol invited those interested to attend a Tirolese conference thriller at Schönburg Palace in Vienna, headlined “Criminal MICE“. An emotional alpine element was ensured with a reading by the successful author, Thomas Raab, who gave an exciting foretaste of his latest literary work, “Der Metzger – The Butcher”. During this balmy summer evening, guests enjoyed an incredibly entertaining and informative insight into the distinctive Tirolean event locations and diverse incentive opportunities. The greatest challenge is to get potential clients to spend their precious leisure time in spending it with business partners. We had to find a perfect symbiosis between the needs of our partners (in presenting their products), to show the USPs of our destination and to offer value-added value to the clients. At the end, the evening has to be surprising and successful. As the clients are event-planer themselves, it is a real challenge to surprise and catch them! We took our brand core and integrate it into the entire event (beginning with the invitations right up to the details of the event (wording, presentation, quiz, partner-booklet….). We built up the tension right from the beginning, telling a criminal story and asking our clients to help us solve the riddle. The solution was the “desk criminal”, a famous criminal author, who allowed insights into his new thriller. The successful format found its repeating in a spectacular Criminal MICE eventing at the Prater Insel in Munich on the 08th of November 2017. The 70 invited guests certainly had a flair for criminal investigation and had no problem solving the “desk culprit” mystery. We have been overwhelmed by the positive feedback from our highly esteemed clientele and are delighted that the huge effort we invested into this project was both recognized and appreciated”, said Veronika Handl, Head of Convention Bureau Tirol. Partner-participation for the next year more than ever, a qote of a minimum of a 30% percentage of new clients and highly satisfied clients and partners. We printed the invitations on cardboard. The catering has been instructed to only serve local food and drinks.